A little nudge can make your process a lot faster! Sometimes, Evaluators might forget to fill out candidate evaluation forms. Which is why we’ve designed small nudges to gently remind them. 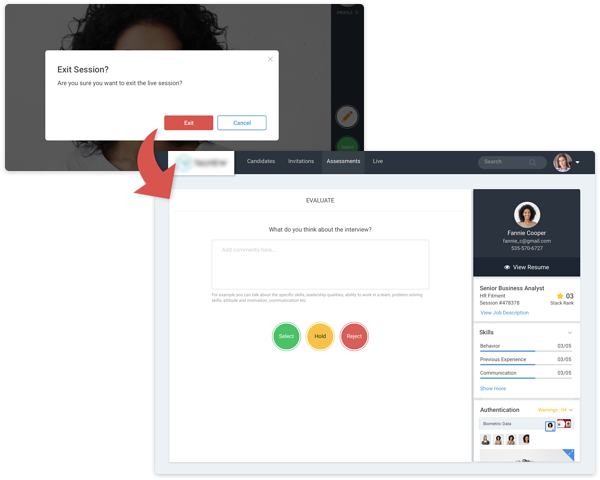 The new in-app pop-ups will remind Evaluators to complete filling the evaluation form right before they drop off the call, so you can make hiring decisions faster. Know your candidate better while you’re talking to them. Conduct better-structured interviews with more information about the candidate. The candidate’s display picture is a screenshot from their recorded video logs, so the Evaluators can catch impersonators in a snap. 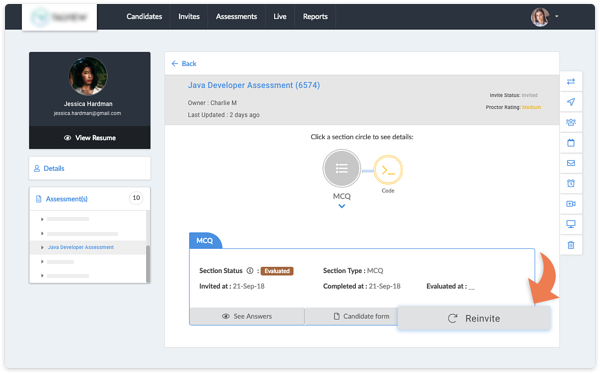 With the new update, Evaluators can now see all of the candidate’s details - their CV, assessment scores, TBI report, etc - during a Live Session. Armed with data and context, Evaluators can have more productive conversations with candidates during Live Sessions! 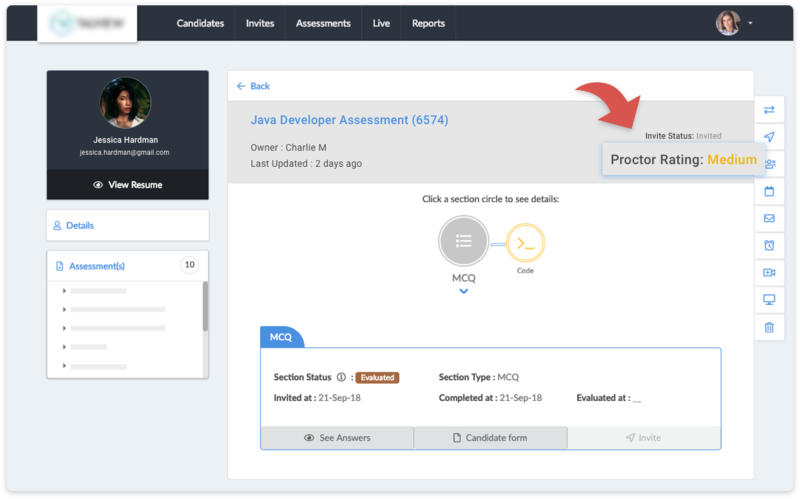 Proview now has a Proctor Rating that will validate the integrity of the candidate’s assessment. Based on the candidate’s behavior during the assessment, the Proctor Rating gives you an indication of how honestly the candidate attended the test. Some video interviews can get difficult to assess - the candidates are either too quiet, or the background noise is too much. 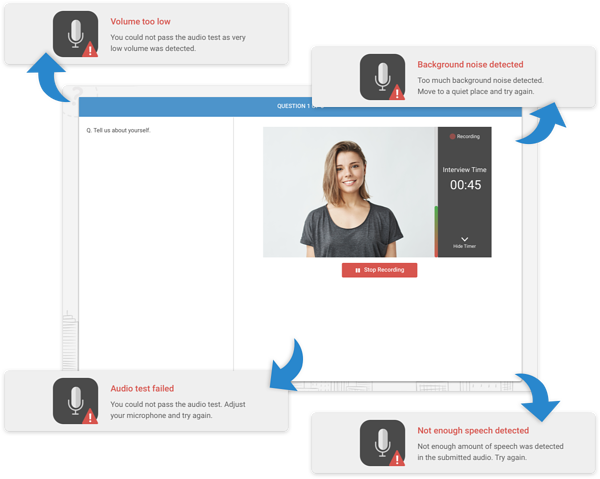 With the new update, Talview will only allow candidates to attend their TBI-enabled Asynchronous Video Interviews, if their voices are loud and clear enough. Candidates will also be prompted to speak louder during the test. The Talview’s Insta-Hiring Experience is now available at the tip of your fingers! Talview’s updated Recruit app is now available on mobile, so you can hire on the go! 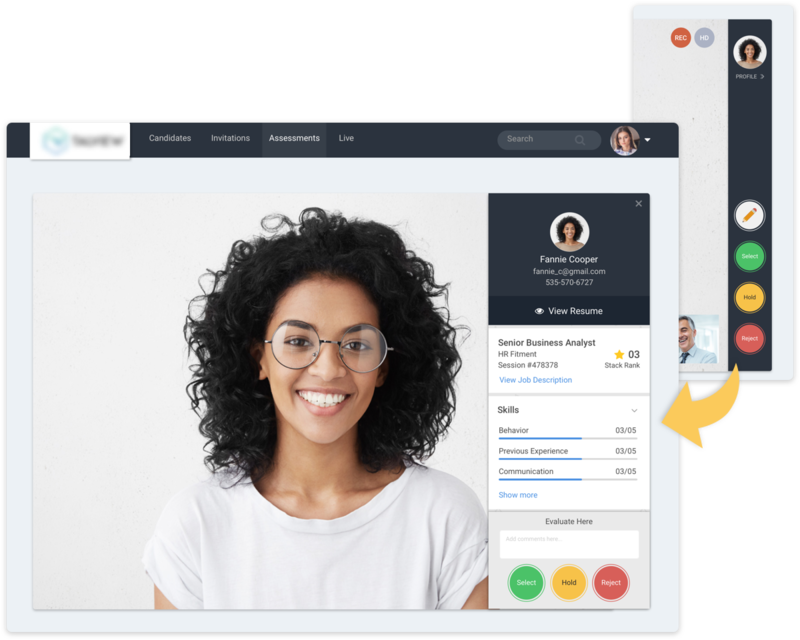 With the Recruit mobile app, invite candidates to workflows, assign panel members to candidates, send candidates and Evaluators notifications and much more from your mobile device! External infrastructure hiccups like network issues, browser crashes, system breakdowns, etc, are unavoidable. But they shouldn’t slow your assessment process down. You can now re-invite candidates to a particular section - so they can continue from the latest section! 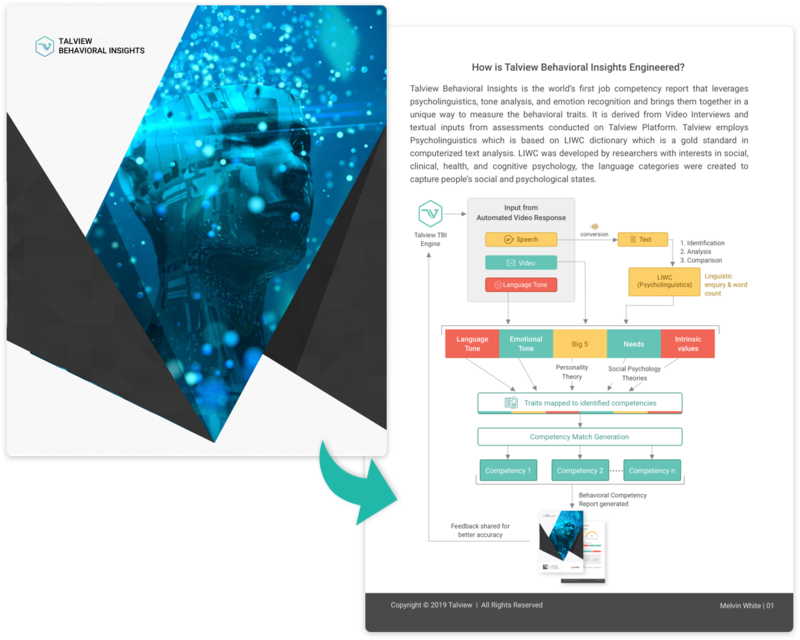 Talview’s Behavioral Insights report is a revolutionary idea - it uses AI and psycholinguistics to help you understand your candidates better. And we wanted to let you know how we make it work. From now on, in every TBI report generated, you will be able to see exactly how TBI works. TLDR - Hiring on Talview is getting smarter, faster and more candidate-focussed. And this is just the beginning - there are so many more new features we’d like to walk you through. To know more, get in touch with us at us@talview.com.